Even professional writers can have problems with their resume. 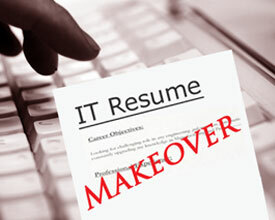 In this month's Resume Makeover, we help a senior technical writer hone his message and appeal to the right audience. One of the keys to good writing is tailoring the message to your audience, but when the subject is you, and you're writing your own resume, even professional writers can get stymied. Amram Hakohen is a senior technical writer with an impressive list of employers, contract projects and successful consulting work, not to mention glowing references and testimonials, but the audience wasn't getting the message. 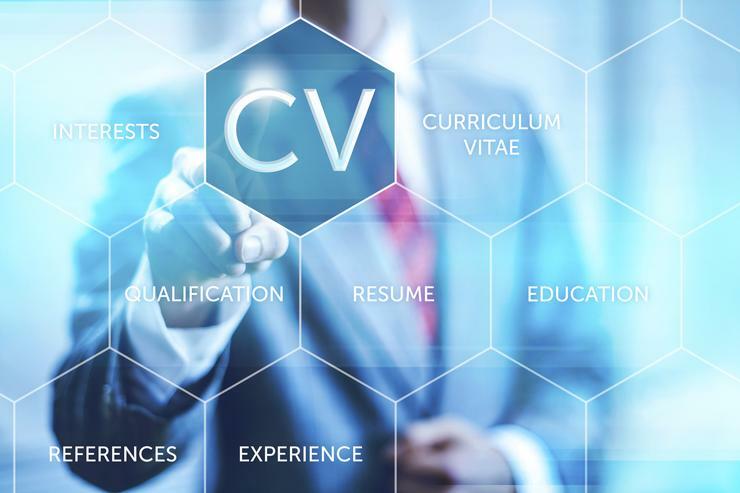 "The most important element in a resume, to me, is considering your audience," says Stephen Van Vreede, executive solutions architect at IT Tech Exec, a career management, resume and job search solutions firm. "Who is going to read this resume, and what do they expect to see? Is the message you're conveying resonating with the intended audience?" Van Vreede says. In Hakohen's case, the answer was "not quite." Van Vreede says that while Hakohen's resume, aimed at company vice presidents and directors, was better than most, he targeted three main areas for improvement: the length, the excessive detail and the chronology of Hakohen's job history. First, Van Vreede tackled the issue of length, an area where even the most skilled writers and editors can get stuck, he says. While there was plenty of material to work with, most decision-makers don't have the time to review a five-page resume like Hakohen's. "Amram's writing is obviously good, and there was plenty of material," says Van Vreede. "The problem is, people often can't take the time to go through a two-page resume, much less his five-page document; it can be intimidating, and many won't even bother. So, we had to get to the core, tighten the message and get to a more manageable size and length," he says. In particular, the profile section above Hahoken's work history was too long and needed to be carefully focused to emphasize the role(s) he was pursuing, says Van Vreede. It helped to think of resume as a thesis paper or an article, in which all information following the one-line summary statement is directly supporting that statement, he says. "The meat of your argument, why you should be considered, starts with the summary, and is bolstered by your work history," Van Vreede says. "The summary needs to be short, powerful and focused, and all the other information is in support of the claim he's making about the role he wants and his career goal," he says. While it's important to list achievements and accomplishments, sometimes adding too much detail can work against a job seeker, says Van Vreede. It's crucial to remain objective and stay focused on your audience, he says. "When it concerns yourself, like when you're writing your resume, it can be difficult to see these things clearly, to look at your achievements and be objective about what's important and what's not," Van Vreede says. "I see applicants going into exhaustive detail about a project they are really proud of, or a solution they designed and developed but they get stuck on the details and forget to look at the bigger picture -- what does the audience think? Are they going to care? Does the accomplishment fit with your intended goal in the future, strategically, or is this stuck in the past?," he says. As a technical writer, Hakohen had a number of freelance and contract positions that he completed for clients under a company he created as a sole proprietorship, says Van Vreede. By combining the contract positions under his business name, Van Vreede was able to both shorten the resume and eliminate the perceived gaps in Hakohen's work history that made it seem inconsistent, he says. "With so many contract positions, there was a lot of repetition. He was covering the basics over and over again which wasn't necessary and contributed to the lengthiness," he says. "So, consolidation is key. I also wanted to make sure we presented the business and each one of those contracts then became subsets under that business heading," Van Vreede says. Consolidating these contracts and freelance jobs under a single "employer" not only helped remove the excess length, but removed another obstacle, the uneven chronology, Van Vreede says. "I could see that there was going to be a problem when it came to the chronology, and that he'd be weeded out often through the human resources screening process," says Van Vreede. "Typically, when your resume is screened, it can be weeded out based on dates of employment and the flow of the work history," Van Vreede says. Because of Hakohen's self-employment and his freelance and contract work, his work history appeared choppy and inconsistent, even though he'd been steadily employed through these consulting gigs and contract work, he says. "When a hiring manager or other decision maker looks at a resume and employment history, they often look just at the dates of employment and nothing else," Van Vreede says. "Viewed from that perspective, it looked like Hahoken was a serial job-hopper. It was imperative to smooth that flow so it didn't look like he was working in 'fits and starts' with many periods of unemployment," Van Vreede says. Job-hopping is seen as a liability, says Van Vreede, as employers don't want to expend time, energy and resources to search for, train and acclimate new employees only to have them leave within six months or a year. Once the changes were made, Van Vreede says, it's much more likely that Hahoken will pass the initial screening stages, since his resume is reorganized, more focused and the message is better tailored to the audience he's targeting. Hakohen was pleased with the results, overall, says Van Vreede, though he did want to keep a version of the resume that included a third page and change some of the formatting. Hakohen says he was impressed with the speed with which Van Vreede was able to identify and address many of his resume issues. "My first thought was, 'Wow, that was fast' but, you know, when you're working on something that's very personal and tells your own story, you tend to agonize over every tiny detail," Hahoken says. For Van Vreede, working with a professional writer was a refreshing change from the traditional IT executives and higher level management pros he usually takes on, and Hakohen definitely set the bar a little higher for him, he says. "As a writer, he's definitely more sensitive to language, messaging and editing," says Van Vreede. "He was very amendable to the changes that I made in those regards, as opposed to many execs I work with who aren't so in tune with the tweaks in messaging that can make a big impact. But, the bottom line is the same whether they're an IT exec or a technical writer: Who is the audience? What do they want to see?" Van Vreede says.